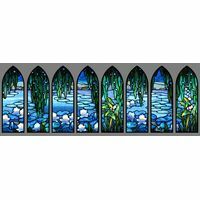 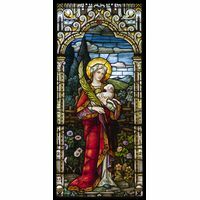 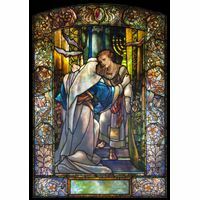 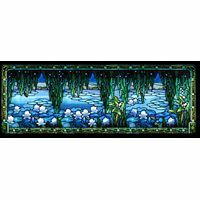 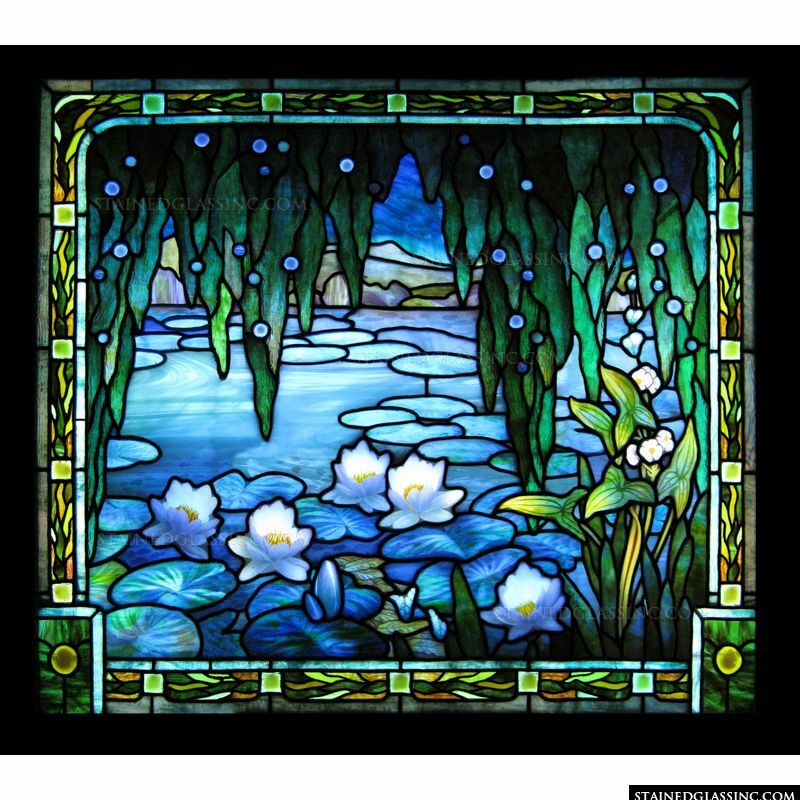 Dazzling white water lilies float on a blue lake at the foot of distant hills in this beautifully framed stained glass window panel. 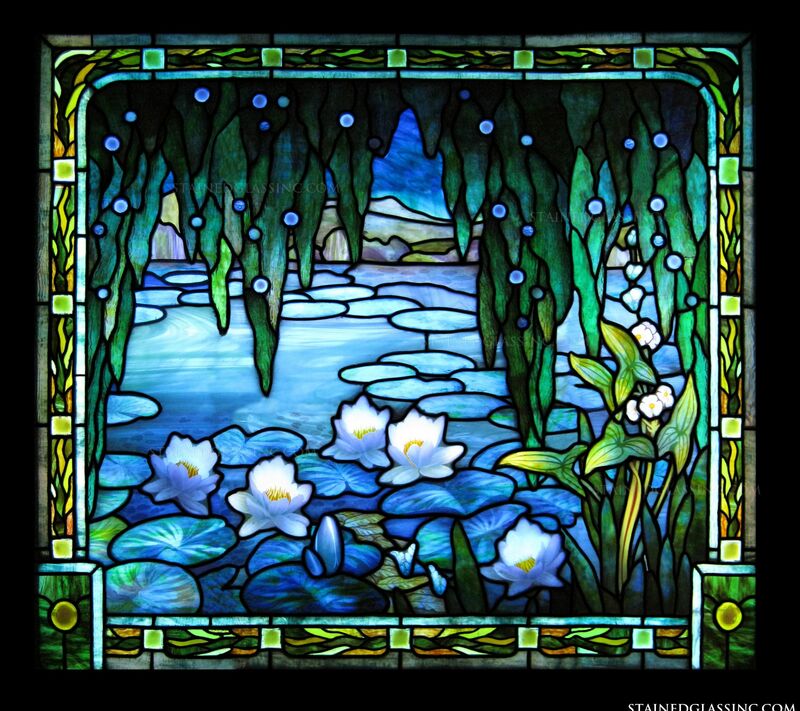 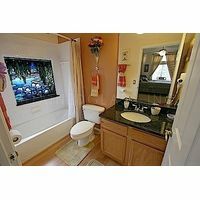 Add these calming colors to your decor and inspire a peaceful mood and a soothing atmosphere. 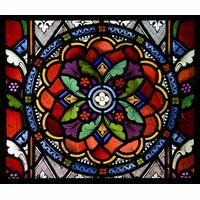 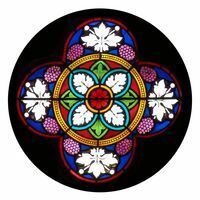 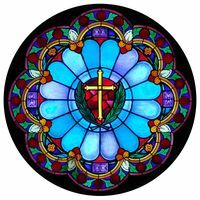 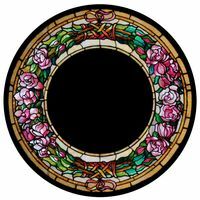 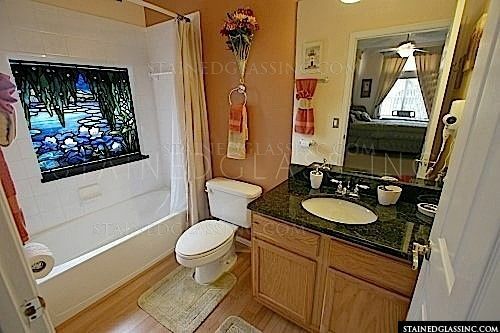 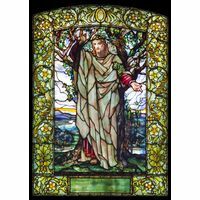 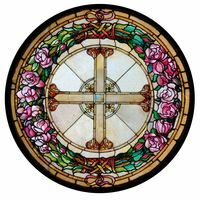 This panel would make a beautiful hanging stained glass sun catcher or can be used as a door or window insert.